..and today we’re going to look at an example of each of these. 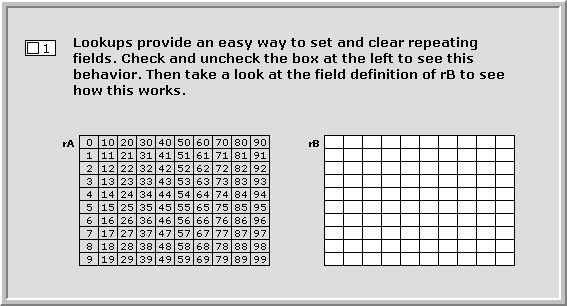 This entry was posted in Level: Intermediate and tagged Get(ActiveFieldContents), Get(ActiveRepetitionNumber), Probability, RandomNum_SFR, Repeating Field on November 30, 2016 by Kevin Frank. Disclaimer: This article contains speculative and experimental techniques that are in the proof-of-concept stage. Use at your own risk and test thoroughly. FYI: In March at the Portland PauseOnError un-conference, Matt Navarre and I had a freewheeling Separation Model discussion, a podcast of which has just been posted as episode 85 at FileMaker Talk. Welcome to the fourth and final installment in our series on Radical Separation. Today’s article assumes familiarity with part 1, part 2 & part 3, and continues in the direction we were headed at the end of part 3. Specifically, we will finish up our exploration of “virtual calculations” by examing an intriguing approach suggested by Barry Isakson to a) reduce the field count, b) solve the “define more fields than you’ll ever need” problem, and c) accommodate summary fields, and I invite you to follow along in today’s demo file, Virtual Calculations, Part 4, if you are so inclined. This entry was posted in Level: Advanced, Version: FM 12 or later and tagged Evaluate, Extend, FM_Name_ID, GetFieldName, Internal layout ID, Repeating Field, Separation Model, Virtual Calculations on June 10, 2013 by Kevin Frank. While these three techniques may not appear to have much in common, all of them are used as building blocks in today’s demo, line-chart-from-field-array. 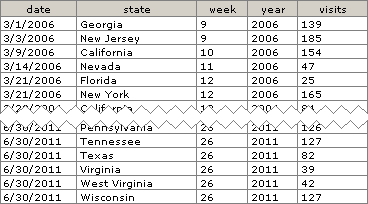 Our data set is a table of web site visits, by week and by state, beginning in March 2006 and running through June 2011. 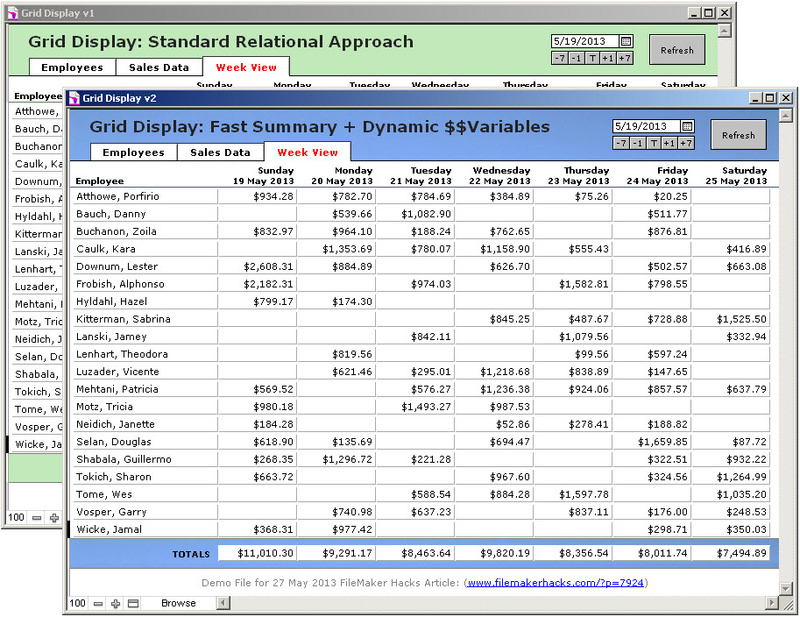 This entry was posted in Chart, Level: Intermediate, Version: FM 11 or later and tagged Array, Chart, Fast Summary, GetSummary, Line Chart, Lookup, Repeating Field, ValuePosition on July 3, 2011 by Kevin Frank. “Actually,” she replied, “there is one thing that you can do with a lookup that you can’t do with an auto-enter calc…” and proceeded to tell me what it was. I promptly built a primitive prototype of today’s demo file, to see for myself, and she was indeed correct. At first blush, it appears that every feature of the venerable FileMaker lookup option for fields can be replicated via auto-enter calculation — until you attempt to populate repeating fields that is, because it turns out that auto-enter calcs can only address a field’s first repetition. This entry was posted in Level: Any, Version: FM 8 or later and tagged Lookup, Repeating Field on June 9, 2011 by Kevin Frank.